Could be something in it, but we will never know, as with most other things to do with the royal family. So much doing the rounds, some of it has to be the truth. Would love all their skeletons to fall out of the cupboard, now that would be something to see, and I bet there are many of them. Who was meant to be the father of this aborted pregnacy ? The father was purported to be Oliver Hoare. Oliver Hoare's Ahuan Gallery is on posh Eccleston Street in London's Belgravia. He sold Islamic art to clients including Queen Noor of Jordan and the Sultan of Brunei. Charles informed Diana, when she was 23 years old, after the birth of Harry, that he would no longer be sleeping with her, how very cruel of him to do that. Diana had a dreadful married life, and a husband who was crazy for a woman 13 years her senior, and all the servants knew, all "their" friends knew, and provided beds for Charles and Camilla to romp on ... family members did the same... how betrayed and hurt she must have felt .. for ALL that time. I don't blame Diana for seeking solace elsewhere, god knows the rotter she married was doing the nawty with auld Camz before, during and after the marriage. Ask the Beaufort Hunt people ... I have friends who rode with it. I have been interested in any information on Diana since before she married Charles and I have friends who knew her, there has never been a sniff of this before. That author man "Lady" Colin (aka George) Campbell, is Jamaica's version of The National Enquirer, and I don't believe what is written there either. Saying that Diana's first grandchild is on it's way .. how deeply sad to know she will never see this baby, or any others. I despise people who make up dirt on dead people to make money, grave robbing comes to mind. Hasnet Khan indicated Diana used birth control (via the inquest). Diana was not stupid. and would not be careless. Why is Lady Colin Campbell given credence. She maintains too that The Queen Mum's biological mother was a cook employed by the Bowes Lyons. Why not start a thread or is this just to lambaste Diana. Diana is dead and can't defend herself. Maybe I should start a thread about a tab article about Camilla's love child with Charles. The article said she got pregnant and it would be a scandal to have the baby so she put it up for adoption. The girl does not know who her real parents on. Hey if people can start up rubbish about Diana why not Camilla? "True or false....poor Diana, despite her looks and wealth, she led a wretched life as a result of marrying into the Royal Family...such a shame if true, abortion cannot be an easy decision for anyone to make...but Diana would have had very little choice and even more cruelly as the article says it could have been the girl she supposedly craved. That poor, poor woman, she couldn't do right for wrong and was driven to all sorts of things a happily married woman wouldn't even contemplate. God rest her soul :( "
If you want to take Lady Colin's Campbell trash at face value suit yourself. Why is this story being given credence? A person would have to be lower than the gutter to confide in trashy Campbell. I doubt Diana would have given the right time to this woman. I find the rumours about the QM and the cook hard to take in. Reason being the funeral of Lord Lichfield was reported in a local paper some years ago and I saw a woman who looked just like the QM but it could not have been. 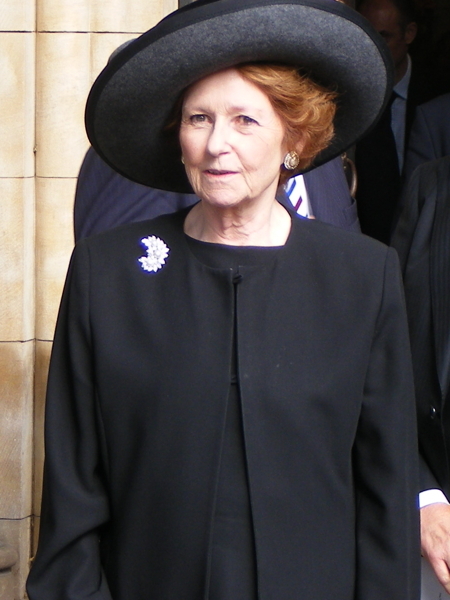 It was lady Shackerley who was Lord Lichfield sister and related to the QM. The likeness was amazing. They too have reddish hair. Since this is very iffy considering Colin Campbell is the source, I think it appropriate that the thread be called Diana's Alleged Abortion. Some fairness please. Moderators can you do this? ^there are a lot of comments about a possible surrogacy, no different from this. For your information, I called this thread "Did Diana abort?" Then why does it say Princess Diana's abortion as header for your post? You were talking of the thread, not the post: "I think it appropriate that the thread be called Diana's Alleged Abortion." Your 'criticism' was therefore baseless. Diana was not the type of female who would abort her child even if it brought embarrassment to the royals or William & Harry. She would have just weathered the storm and used the media to her advantage like she knew she could. So no I don't believe Diana had an abortion. Many of the links provided by CrystalEve make interesting reading, and many odd things seem to slip into place. I am not going into giving examples, I think there is enough of that at the moment, but what I can´t understand is why these posts have opened such a large can of worms. I cannot see that anyone is Diana bashing. I have always been a Diana supporter and always will be. She had a rough deal from the royal family, and thankfully at some stage she took a stand and retaliated, and good for her. Father of her two children, who knows, for and against. But that in no way takes anything away from my opinion of her, and for me does not turn her into a s**t. "The Firm" is huge, with tentacles world wide, and not necessarily tentacles into good places. They can cover up anything, can order anything to be done, and could, time past, get away with it very easily - but, the advent of world wide internet, and people no longer tugging their forleocks at them, and wondering why this firm think they are so special, makes them ready to spill any beans they have in their lap. With Facebook, Twitter, forums like this one, and all the other social networking sites, mobile phones with cameras at the ready to click, of course a lot of things are going to come out. I do not think any member of the royal family is whiter than white, they all seem to be many shades of murkey grey, which again years ago would never have come to light. Airmiles Andy - how many of us would have know about his globetrotting years ago before the internet - just one small example. You can be a royalist or an anti-royalist, tug your forelock to them or not, it is your choice. What none of us should be doing is stating that our own opinions are gospel, set in stone and totally 100% correct becase we personally think that is the case - we don´t know the whole truth and we may well never do so. The postings from CrystalEve have not made the forum weird, the weirdness comes from so many strange reactions, and some who think their opinion should be the only one and we should all conform to it and change our own opinion. That is never going to happen, none of us will shift from what our opinion is - unless we get firm proof otherwise. If we could, as I have mentioned several times, just accept that we all have differing opinions, respect that and move on from there it would be good. We cannot push our opinions onto others, it is not fair. None of us like it done to us, so why do it to others. In truth, we can all make a comment saying "Diana/Charles/Whoever would never say/do this, that or the other" but none of actually knew them personally, we can only assume that is what they might have thought/done, but that does not mean we are correct. This is a great forum, full of information, exchanges of views, and best of all it is normally friendly and respectful and I have loved being part of it. I have never posted much because most of you are so on the ball and up to date with the media offerings and information (meant as a compliment) so anything I can bring to the forum is already here - which I find amazing and am delighted about. Please, can we just accept that we all have our own views and opinions and nothing and nobody is going to change them at this point in time. It should be noted that the ONLY source of this was Lady Colin Campbell. Would not Penny Junor have glammed on to it had it had any credibility? I would think so. Campbell claimed the Queen Mum was illegitimate and I think she puts these "out there" stories to have something "shocking" to help sell her books and make money. Never mind that her claims are off the wall and gossipy. It's just tabloid trash. I don't know why posters who disagree with Crystal are knocked. Everybody is entitled to disagree with her. What she says is not from mainstream biographers of the late Princess. I would give more credibility to people who actually had interviewed the Princess. I think the Princess avoided Lady Campbell like the bubonic plague. I think people who post these gossipy things have an agenda, to try to make Camilla and Charles look better or they just plain don't like Diana. It is just sort of putting out gratuitous gossip. In the past day on this board Diana has been accused of someone who cheated on her husband right away, passed off a b---d child as a royal baby, and aborted a baby. If people say they "like" Diana why is this gossip taken as gospel truth. I never got a straight answer about why William is not called a b---d too because his mother supposedly slept with Hewitt in 1981. Unless Diana herself admitted this or this is the "mainstream" where everybody "knows" Diana did all this, I think this is Diana bashing by spreading vicious gossip from a very dubious source. What none of us should be doing is stating that our own opinions are gospel, set in stone and totally 100% correct becase we personally think that is the case - we don´t know the whole truth and we may well never do so. The postings from CrystalEve have not made the forum weird, the weirdness comes from so many strange reactions, and some who think their opinion should be the only one and we should all conform to it and change our own opinion. Who said their opinion is 100% correct, set in stone or the gospel? This thread should be shut down this is disgusting. Diana would never ever get an abortion it's not how she was raised & it's in the aristo/royal cultural ideology against abortion. They rather you have the baby out of wedlock than ever have an abortion in that world. Talk about suicidal being a outcast as well as a tarnish on the family name. Plenty of skeletons at Sandringham, but they're not in cupboards. I see your posts on the DM, other posters do too, and their responses to you are often very on the mark.